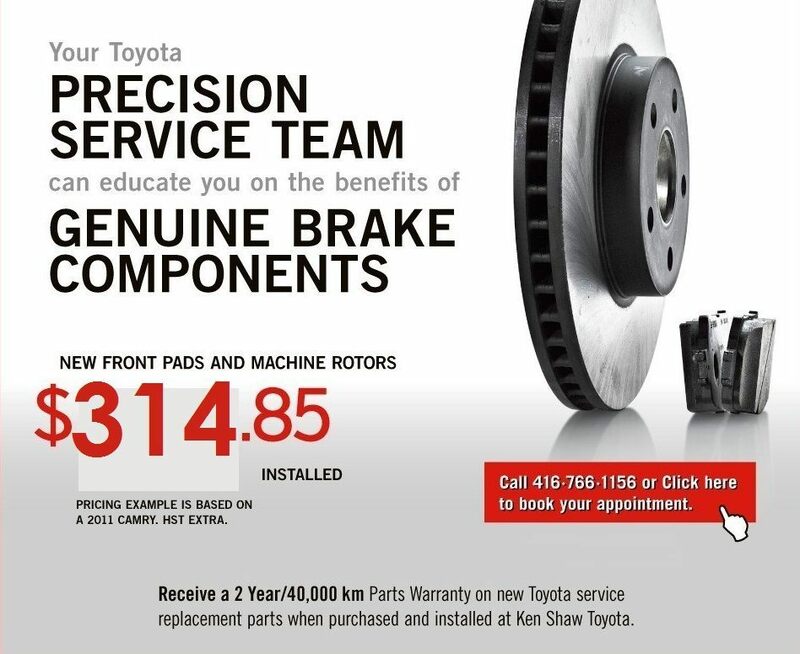 Toyota Winter Tire Price Match Promise is back! Click "Learn More" to start choosing your new Toyota Tires. 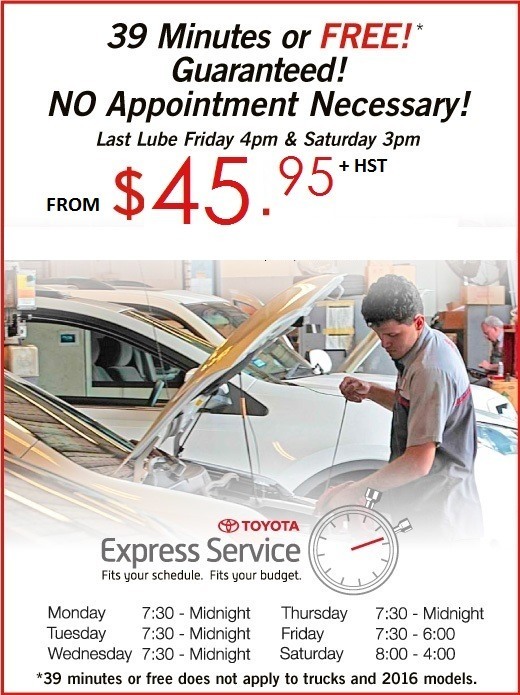 Express Service Lube – 39 minutes or FREE! Express Service Lube is 39 minutes or FREE! No appointment necessary. Does not apply to trucks and 2016 and later models. Make sure your Toyota wheels are properly aligned for a better driving experience. 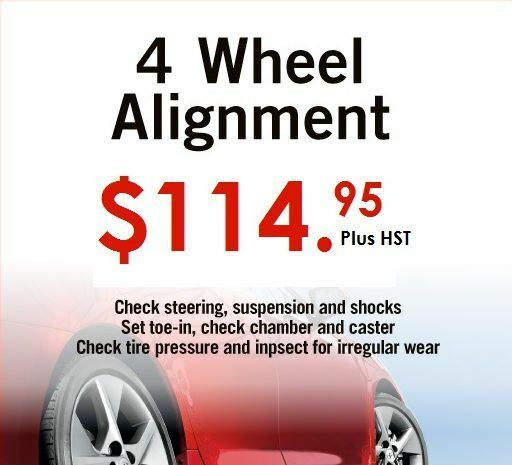 4 Wheel Alignment for $114.95, HST extra. 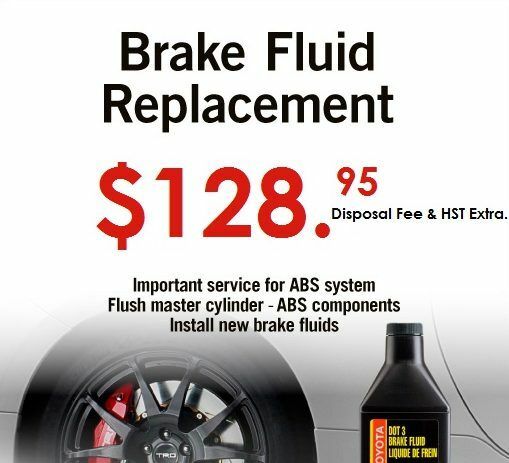 Flush and replace your old, built up brake fluids for $128.95, HST and disposal fee extra. 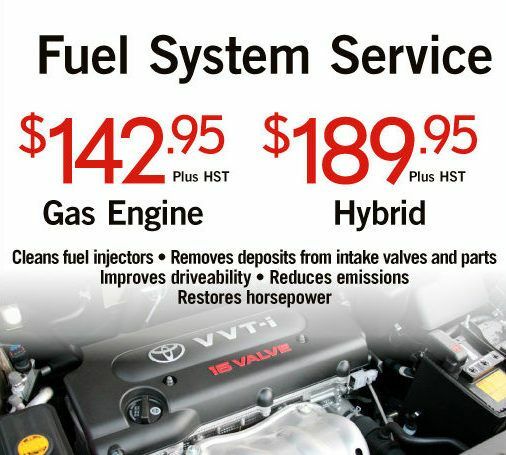 Fuel System Service removes deposits, cleans fuel injectors and improves drivability. $142.95 for Gas Engine, and $189.95 for Hybrid Engine. HST extra.